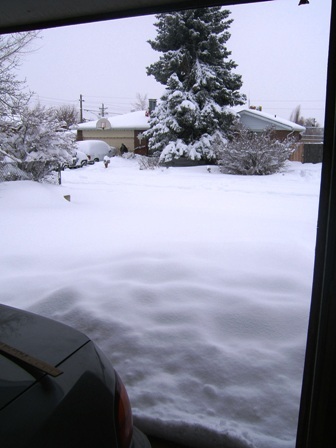 The Mighty Blizzard of ’06 came and went, wreaking havoc on the eastern half of Colorado. Official tallies say Arvada got 22 inches, but the Virtus ranch netted 24.5 inches. And it stopped just in time for winter to officially arrive. All right, then. 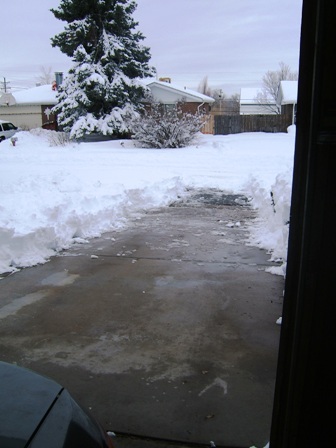 My friends, this storm didn’t kill us (no reported fatalities that I’ve heard of), but many Coloradans have been made stronger from it.Tomorrow it’s an attempted return to “normalcy” – or the best semblance of it that can be made with a rear-wheel drive vehicle. El Presidente has more pics from his blizzard vantagepoint.